Colorful, chaotic and steeped in history, the imperial city of Marrakesh is one of Morocco's most popular destinations. It's also a fantastic base for exploring the rest of the country, not least because of its excellent railway connections. From Marrakesh's easily navigable train station, you can travel to other major cities including Casablanca, Fez, Tangier and Rabat. As well as being amazingly efficient, Morocco's trains are considered clean and safe. Tickets are well-priced, too, making this one of the most budget-conscious methods of getting around. In the past, it was only possible to purchase Moroccan train tickets from your chosen station of departure. Now, however, you can plan ahead by researching and paying for tickets on the website of national railway operator, ONCF. If you'd rather wait until you're in-country, trains usually have plenty of space and buying tickets on the day of departure is no problem. If you plan on traveling during peak times (including public holidays and particularly Ramadan), it's a good idea to book in advance. If you have problems booking online, you can make a reservation at the station a few days ahead, either in person or via a willing hotelier or travel agent. Trains in Morocco come in two styles, both with air-conditioning. The newer style has open carriages with seats arranged on either side of a central aisle, while older trains have separate compartments with two rows of seats facing each other. On these older trains, first class compartments have six seats, while second class compartments have eight seats and are therefore more crowded. Whichever style your train is, the major difference between first and second class is that in the former, you will be given a designated seat; while seats in second class are first come, first served. It's up to you what's more important - a guaranteed seat, or a cheaper ticket. Some of the timetables listed below are for sleeper trains (marked with an asterisk). These have "comfort carriages" with single beds so that you can get a good night's sleep. Traveling at night is a great way to save money as it means paying for one less hotel stay. Below, we've listed current schedules for some of the most popular routes to and from Marrakesh. These are subject to change, so it's always worth checking the latest timetables upon arrival in Morocco (especially if you have to be somewhere at a specific time). However, Moroccan train schedules change relatively infrequently - so at the very least, the ones listed below offer a helpful guideline. The fare from Marrakesh to Casablanca is 95 dirham for a second class ticket, and 148 dirham for a first class ticket. Return trips are double the price of a single fare. The fare from Casablanca to Marrakesh is 95 dirham for a second class ticket, and 148 dirham for a first class ticket. Return trips are double the price of a single fare. 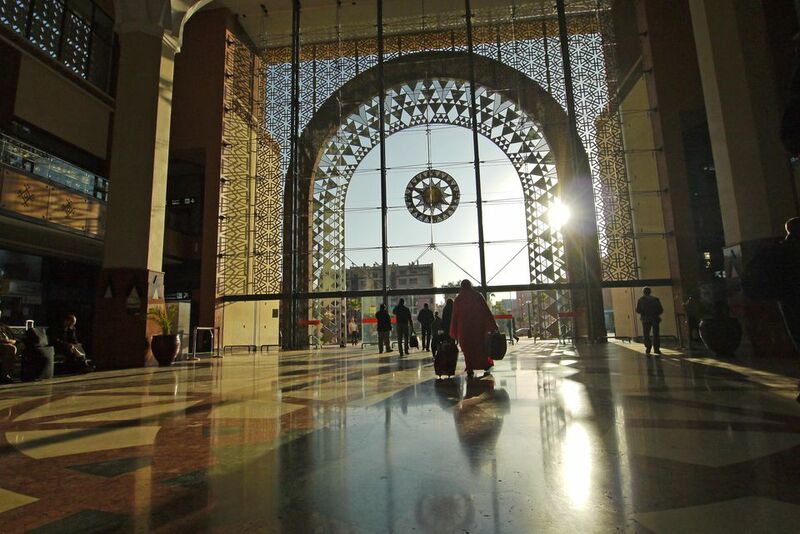 The train from Marrakesh to Fez also stops in Casablanca, Rabat and Meknes. *Night train with sleeper carriages. The fare from Marrakesh to Fez is 206 dirham for a second class ticket, and 311 dirham for a first class ticket. Return trips are double the price of a single fare. The fare from Fez to Marrakesh is 206 dirham for a second class ticket, and 311 dirham for a first class ticket. Return trips are double the price of a single fare. The fare from Marrakesh to Tangier is 216 dirham for a second class ticket, and 327 dirham for a first class ticket. Return trips are double the price of a single fare. The fare from Tangier to Marrakesh is 216 dirham for a second class ticket, and 327 dirham for a first class ticket. Return trips are double the price of a single fare. This article was updated and re-written in part by Jessica Macdonald on August 23rd 2018.